The tunnel’s ceiling was painted with logos of all the 30 NBA teams, while the sidewalls show several posters featuring each NBA team’s star players such as Oklahoma City guard Paul George at Milwaukee Bucks forward Giannis Antetokounmpo. 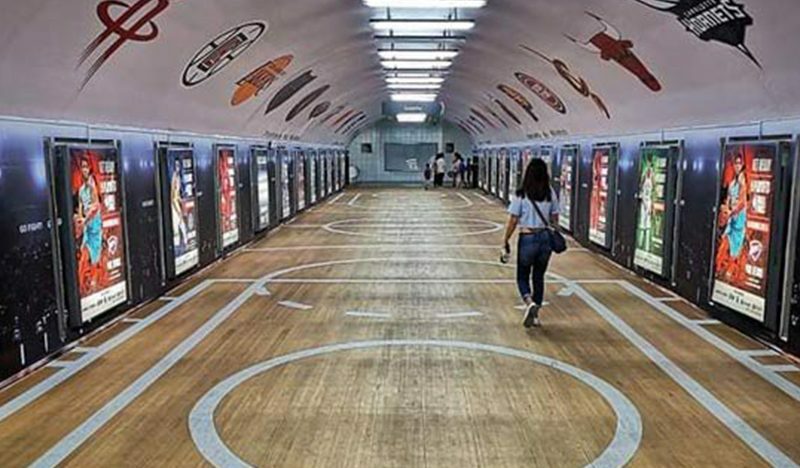 To complete the ultimate basketball experience, the underpass’ concrete flooring was painted to look like one of those wooden floors like in the real basketball court. 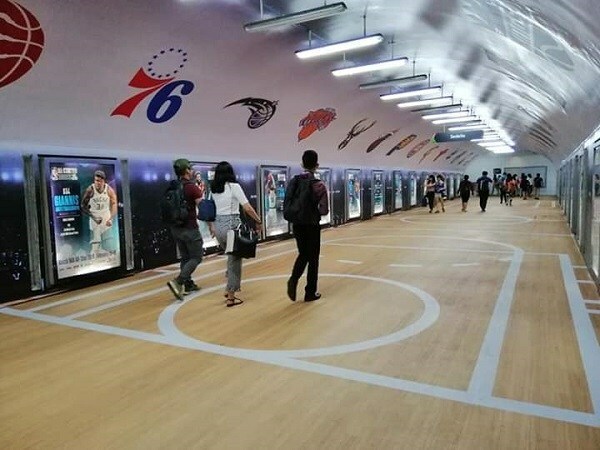 On its Facebook page, “Make It Makati” posted a photo of the NBA-inspired Sedeño underpass, which gained different reactions from the netizens. The NBA-like arena is one of the city’s campaign towards a vibrant place for its people. 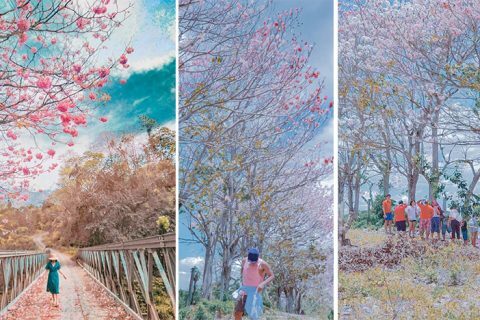 Meanwhile, many netizens reacted to the post and shared their excitement about the newly-designed underpass. 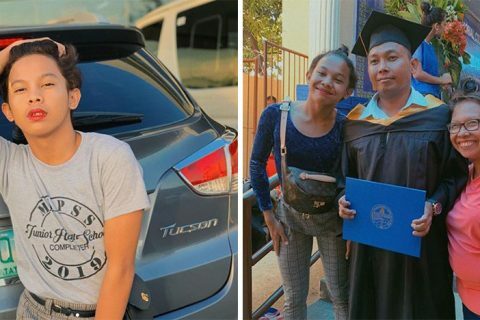 Another one joked about deploying a guard clad in a referee’s uniform at the underpass to complete the whole NBA feel, “Mas cool yan kung ung mga guard naka bihis ng pang referee,” Carlo Abad said. As of this writing, the photo has already gained over 10,000 likes and shared over 5,500 times on Facebook. The stunning underpass theme was made possible by RS Concepts, Inc. They are the brain behind the project and also the one who executed it. In a video posted by RS Concepts on its Facebook account on February 15, they showed the transformation of the Sedeño, Makati underpass. 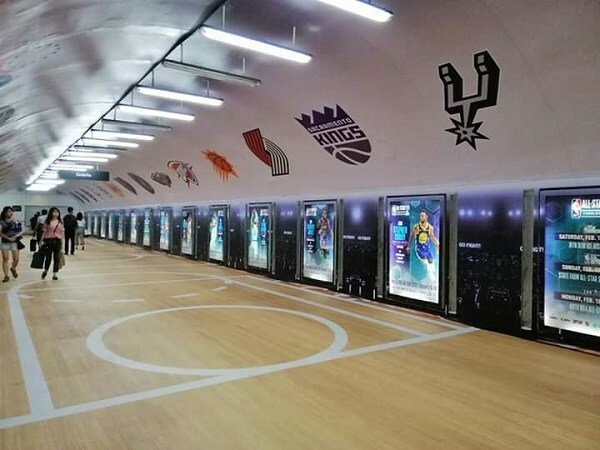 “RS Concepts and Havas Media Ortega AdCity teamed up to deliver the NBA All-Star Weekend full wrap execution at Sedeno Underpass in Makati City,” they wrote.